Get the game and all its DLC on your shiny new Switch if you missed it on PS4. Disgaea is an interesting series. When it comes to the Tactical RPG subgenre, most titles seem primarily interested in providing deep, engaging stories and punishingly strategic combat. Final Fantasy Tactics and Tactics Ogre have long been kings of this. Disgaea, on the other hand, has been about making the experience as wacky as possible. These colorful, quirky titles provide a much-needed contrast to the games that made this subgenre famous, and in a few months you'll be able to pick up the latest one for your Nintendo Switch. Disgaea 5 Complete compiles the former PlayStation 4 title and its DLC into one package for the hybrid device. Having played the original release quite a bit, I can absolutely recommend picking this up if you missed out on the PS4 version. I didn't get to try out the DLC, but the core game alone features so much content that you'd have a hard time getting through it all without all those extras included. 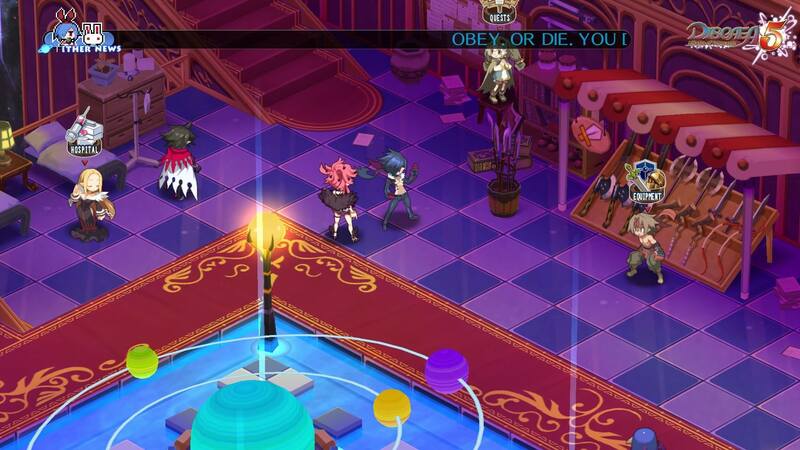 You'll be able to get your hands on Disgaea 5 Complete on May 23, 2017.